Red fox does a quick pose for a glamor photo. 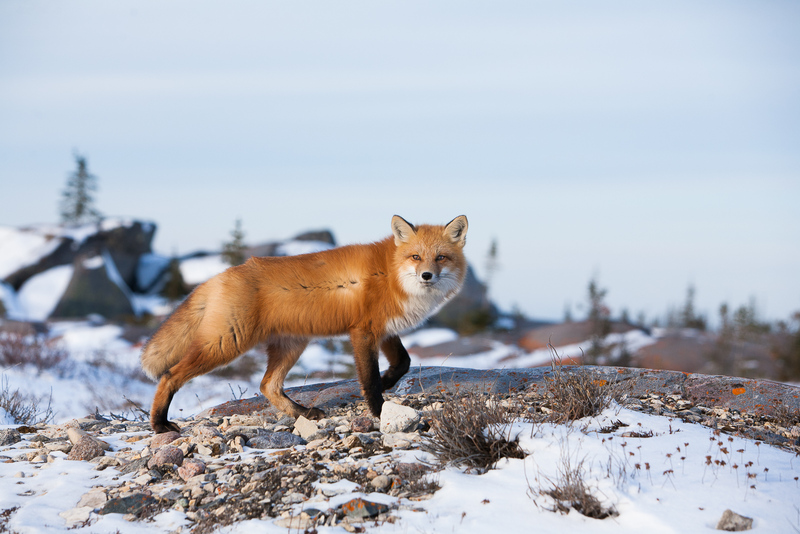 Competing against the artic fox in this norther region of Manitoba the fox is a keen hunter. Photo © copyright by Lance B. Carter.